Apparently this type of music is called "Bare Foot RnB" not sure if I Stan for the name but I definitely stan for the artist. Let's take it WAY back for a sec, back to baggy suits and soul trains. The beginning of Hip Hop before it became Hip Hop. ​​This golden oldies had my singing like i was auditioning to be the 5th member of Boys to Men ALL. OF. LAST. WEEK. Thus earning its spot as this week's Jam of the Week! ​If she doesn't know this song, he's probably a 2000 and you need to play this for him and take all his money. The second part is optional but this song is a grand jam and I found myself dancing to it every morning for the past week! Thus earning its spot as this week's JOTW. ​​ ​I hate EDM. I said it and im not taking it back! I can handle monotonous house music to an extent but EDM at clubs and groove goes against all my house dancing instincts. This Cabu remix definately isn't EDM but it's leading more towards the techno side of music. If you've seen any of my previous JOTW'S you'll know by now that I lean more towards music where i can actually hear what instruments have been used.... BUT this Cabu remix of Joe Hertz's Stay Lost has been on repeat and its simply an undeniable Jam! ​The perfect song for Sunday chills with BAE or Sunday chills with a book, glass of wine and the tub. Since it's holidays for most of us varsity kids, everyday is in essenc,e a Sunday chill day. This song has been on repeat last week, earning its spot as this week JOTW. You could be more talented than Jackson with a greater vision than Trump but if you don't believe in yourself more than Musk believes in life on mars, you're not going to get there- wherever you're trying to get to. Ignoring the fact that this song was forced onto me and I ended up liking it under duress, your man is your man, is your man, is your man. And Every season is my season as long as I'm breathing. Im a 98' baby and maybe I'm an old soul but am I really the only one that doesn't get the music kids are listening to these days? Mumble rap and red and purple dreads are so far out of my understanding (literally and figuratively) that I really feel old when I've got aux in the car and my playlist stumbles upon the hypnotising magic of artists like Iwamizu and my younger cousins ask me why I'm playing elevator music in the car.... Elevator or not Iwamizu has been on repeat this past week (and found his way onto almost all my vlog videos, which you can find here ) and if I ever do here his music in an elevator one day, best believe it will be a groove of note. Blue Grass, Barefoot RNB, Neo Soul... So many names for this groovy new genre that's piggy backing off old school classics that almost all 90's and somehwhat millenials were raised on. 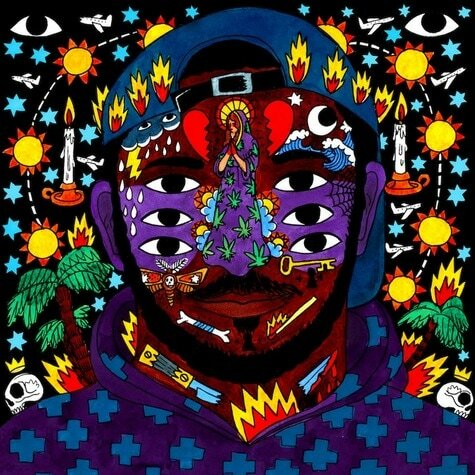 Kaytranada- possibly the Dj Kool Here of our time, along with Daniel Ceasar and Solange, have cultivated a new niche movement in the populace of RNB and Hip Hoop. Katy B and Kaytranda's Honey is exactly what you need in every moment between still ness and the hour before you head out the house to groove on a Friday night. You doin' it for the love or you doin' it to get praised? What would you do for fame? I made it this far"
Before it became about gold, platnum, ticket sales and icons, music was an expression of being. Jorja Smith touches on topics so profound in our society right now Im shocked this song isn't more popular. Perhaps what she says is so truthful no one wil refute it and that's why it's not Top 40. The original JOTW was supposed to be Nobody Else by Ella Mai but Anymore started to play it and it was so serendipitous I had to make it this weeks Jam. Ella Mai is one of the artist that can either induce feels or keep you numb during feels, I hope she helps you whatever your feels be this valentines. I've always been a Kaytranda fan and I usually don't like his collars with females- they just never reach the standard BUT this collaboration with Katy B is almost as catchy as a Taylor Swift/KimKanye drama. . .
From the tumbling thump of the base to the light vocals from The Internet, 'Special Affair' is the hypnotic, acoustic theme song for a perfect dazed afternoon entertained by memories so dizzied they seem distant but not old. Tyler The Creator comes in for a short unexpected peak at the end and adds the curse to the affair, intended or not, I've yet to decide. I love classic songs and I usually hate it when people remix them cause I like the remix is never as good as the song itself but this week KRS's remix of 'Return of the Mack' has been on repeat! ​I'm really feeling KRS's vibes, for more of him click here. Serendipitous is an insult much less and understatement. Click Here. It's Ma-SAG-o- Apparently. High key had a fight with some Americans about wether it's Masego or MasAgo. We didn't conclude anything but instead end the discussion with nuances about colonization in Africa leading to the current helpless state of its ecomonic abuse by European nations. Doesn't matter how you pronounce his name or feel about Afro-Euro politics, this Masego and FKJ collab is bomb. It was on repeat for more than a few weeks along with FKJ album which is sure to pop up on the JAM OF THE WEEK page in a week or so. . .
At this point I've just accepted that any good music and artist will find me, I can't definitively try to find good music. If it wants to find me it will. Just in time for the JAM OF THE WEEK update NAO stumbled across my feed. It started with 'Good Girl' on repeat for 2 hours until I realized I've kept it on repeat for THAT long and I changed to the next song. 'Fool to Love', which just happened to be by NAO and I know these and a few others are most def going to be on repeat the w h o l e w e e k.
A day doesn't go by where I don't listen to this song. It's mesmerized me since it came out on Frank Ocean's visual album last year sometime. This was the third song from the album and I remember endlessly rewinding the video just to hear this song play over and over. I don't think I've even listened to any of the other songs from the album- I'm ok with that. This is a cover by Sinny, it's definitely not the same as the original but I love it all the same. Something about everything in this song makes calms me. This might just be the soundtrack to my life- Mariah will fight that but if the cover isn't doing the things for you, you can find the original here. We all reach that point in our playlist where every song feels overplayed and nothing seems to fit the mood. 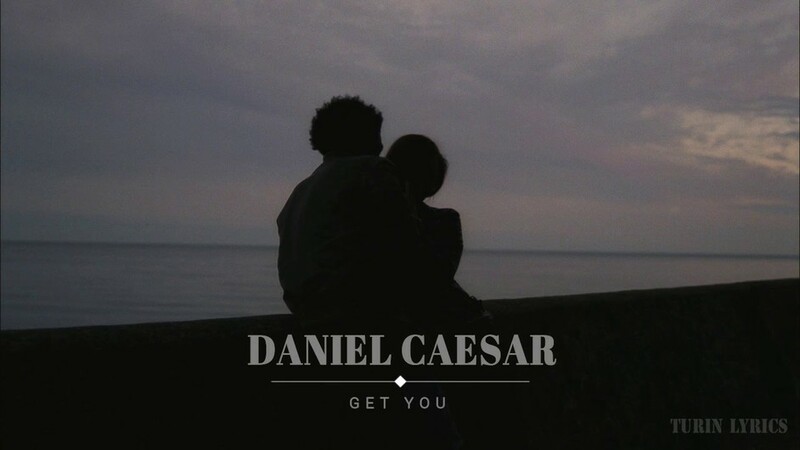 Luckily Daniel Caesar stepped in to save me from that wretched pitiful strain. Get You is one of many songs that have been on repeat this week - much to the dismay of my friends. . . CLICK HERE FOR THE VIBES. 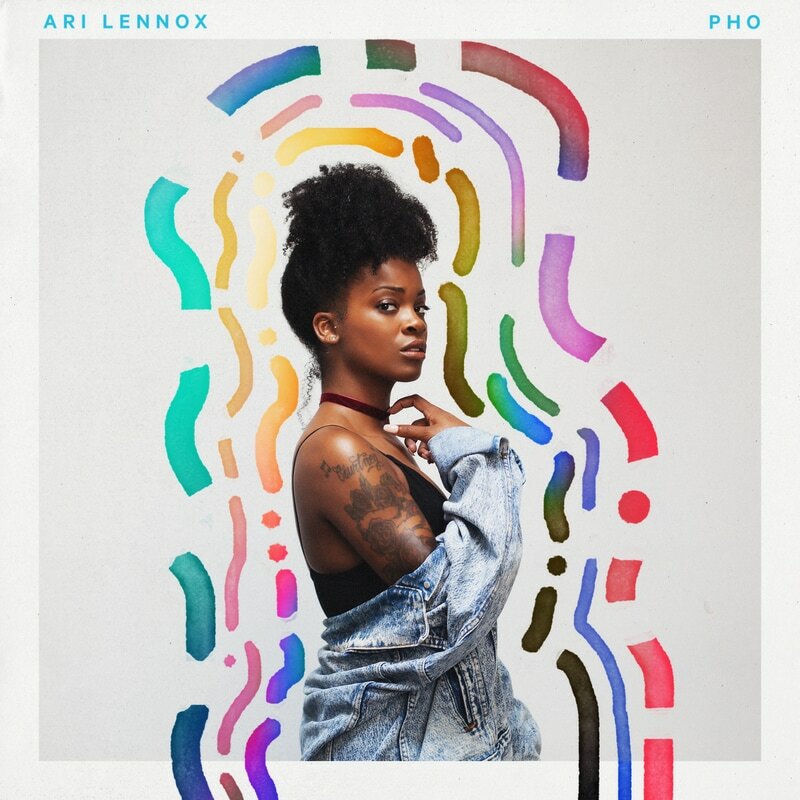 I don't have the how's the who's what's the where's nor the when's on Ari Lennox but baby girl came out the fog with a mellow, marshmellowed blue toning wave that infatuated me with hey groovy vibes, tainted with the mix of Solange and Frank Ocean Lennox's EP 'PHO' is a wave of feminine subtlety and surreal harmonies. Click here for the vibe. 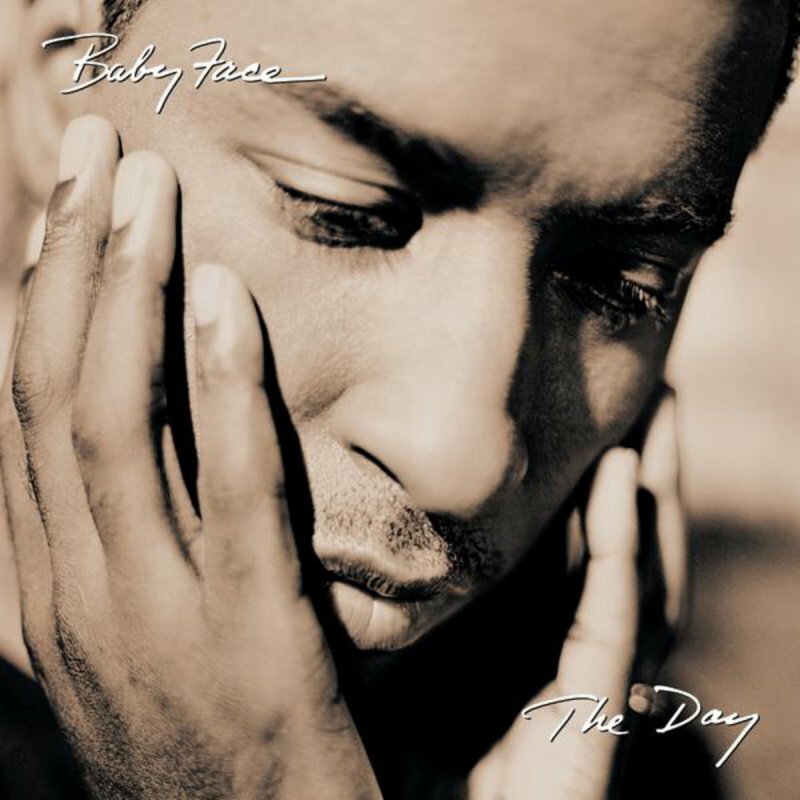 Baby Face, I Said I Love You because I Said I Love You and I genuinely meant it. Click here for the vibe. Don't sleep on this kid, this album is the moon to my waves. ​Click here for the vibe. Would you rather have a blesser or be the girl they sing about in this song? I'm at that point in my life where we're all starting varsity and it's way exciting but only in that bitter sweet way of knowing that you might not see your friends ever again. This song is dedicated to the homie Dani. This is THAT song we always jam when we're in the car together and it will always remind me of you. This is eternally our song. "I don't see nothing wrong, with a lil bump n' grind. . "
No one can deny the sensual, mellow waves of this song, the subtly placed whispers and orchestral undertones that create this mystical aura that can only be loved. I have adorned this song since I first heard it and I have loved it like an old childhood teddy bear. It's been the background music to the movie of my life - this week. Because Mimi is the greatest and now she's even got a show to prove it. #TeamTanaka and also cause ITS A WRAP. I'm not really sure how I even found this artist but he makes alot of chill, olden meets almost EDM type music. This is one of my favourites from him. He's made alot of tracks and you'll definately be hearing more about him. It's been one of 'those' weeks. The one where you feel like the world is trying its mighty best to prevent you from succeeding and achieving everything in you want in life. The one where it seems whatever you do is never enough for your parents, peers, fans and yourself. One of those weeks where the world around you just crashes, rebuilds itself and crashes again and again. . . This is not so much a jam as it is a soul saver. The accent might be a bit hard to understand at first but if life is not going your way right now this song is about to be on repeat. ​Let's be real. No matter how old you are you should know this song. It's been used in a few movies and countless commercials. It's completely old school and one of the songs that defined the Disco era in music but it's still hella lit! I promised no matter what race, age or gender you are as soon as you hear the song you'll be groovin' the whole night through. ​​I'm not someone who's really into covers of songs but I genuinely like Alex Aiono and William Singe and when I saw they did not only one BUT TWO covers together I was ecstatic. I like them because they don't just resing a song, they make it their own. ​You probably won't know who this is and if you're younger than 20 you most definitely won't know who this is. Snowgoons. This is real old school thug music. This jam has been taking me through the week and giving me the motivation to keep on that study steez. ​This song is dedicated to all the people that have been friendzoned but are still chill AF. This Is For the Cool In You. ​Honey really just has so many good jams I could not resist adding another one as the Jam Of The Week. This is straight old school Hip Hop vibes and its been on repeat the entire week! I was in deep within a procrastination session the oher day, when the movie Honey came on. Naturally, I watched the whole movie in an attempt to further procrastinate my studies for finals, (Yes Matric Finals are about to start). The movie reminded me of of that old school, hoop earings, lipgloss and Jenni From The Block Hip Hop. This song is one of many songs from the movie that are on my jam list right now. ﻿﻿Michael Jackson originally sang the song when he was but a wee teenage boy. And like all MJ songs it was a masterpiece (don't even try and rebut this, the man was a legend). "I Wanna Be Where You Are﻿﻿, Anywhere you are. . . "
If you're about my age you won't really know this song unless you're an ultimate Yoncé fan. If you're perhaps my parents age or older, you'll most definitely know this song. Whilst no one can compete with the King himself Yoncé did a pretty good job at a Tribute concert, I've put the original sang by MJ on the left and Beyoncé's version on the right. They're both great performances of one the greatest songs in R&B history. ﻿﻿Whilst MJ always performed I Wanna Be Where You Are in thmost authentic MJ way possible, Yoncé took it and gave a performance fit for a modern audience. ﻿﻿ Why won't you be my S U M M E R B R E E Z E. Won't you please change color. . . If you are a South African and you're either Indian or Colored this song should bring back memories fo days. Whenever I hear this song I just remember family camping trips at warm baths and given the weather and general sultry mood thanks to exams, I stay playing this song to help me think of the bring sunny days to come. It's also a chill song to study to. ﻿﻿ Throwwwww baaccckkkkk. This is just a throw back that's stays killing it. ﻿﻿ ''There's always that one person that will always have your heart. You never see it coming cause your blinded from the start. Knew that you're the one for me, it's clear for everyone to see. You will always be my boo, my boo. . ."-Usher & Alicia Keys, My Boo. It's been that type of weekend. I've been seeing 'that one' far too much this week and this jam just explains exactly how I feel about my day 1 boo. . .
﻿﻿ I've lost count of how many times I've been stopped and asked if I "listen to this" noting towards Kelly Khumalo's Asine that's generally being played from my phone...Whilst the original is rather tumultuous in its own subtle and passionate way the remix is really just THE JAM shazam! This is the Deep House remix by aFrikaSoul. And yes I do listen to "this". You for reals sleeping if you don't know who Monique Bingham is! This JAM has been pulling through the week for sure. Monique Bingham is really majestic in every way but I have to acknowledge that she didn't make the song along. She partnered with Ralf GUM and they've made a few songs together but right TAKE ME TO MY LOVE is going in . . .
Not much is know about Moodymann but he's been in the game for quite some time now. I love this mix, it's perfect for working, chilling and it just feels really fashionable! It's a mix of jazz, house and techno house. . It's just the J A M man. Earth Wind and Fire's 'September Song’ is a hit straight out of the number R&B number one charts of 78'. this is a jam that every 80's kid will know ​but even as a 2000's kid it's still a song that will forever be T H E J A M.